Ken Zen Ichii means the three elements of the human being while Wa is peace and Do is way. Literally translated, The conglomeration of the human being, Physically,Mentally and Spiritually in pursuit of the Way of Peace. Japan Karate Do Ken Zen Ichii Ha Wado Ryu Kyokai was re-organized by Ira Francisco Watanabe to apply modernization in the practice of Karate while preserving the tradition, history and the teachings of Master Arthur (Mr. Bee) Beverford as taught to him by his teacher Hironori Otsuka, the founder of Wado Ryu. In early 1955, an American named Arthur Beverford, a zen buddhist priest from Gifu, central Japan, introduced to the Philippines an art called Wado Ryu. 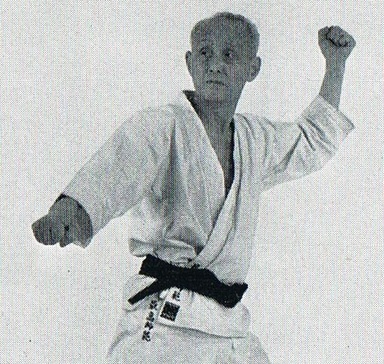 Mr. Bee, as called by his students, learned Wado from Shunichi Niwa Shihan, Hanji Hirano Sensei and Mitsuo Misutani Sensei of the All Japan Karate Do Wado Kai (Tokai Honbu) and from Master Otsuka Himself, Since the start of the reconstruction period of Japan in 1945. In the year 1957, After years of daily rigid training, Met Watanabe Francisco, Guerrero Watanabe Francisco and Carding Valerio of Angeles City were the very first in the Philippines to receive Sho Dan grades from the Wado Kai. Mr. Bee is referred by Master Otsuka as His "Brilliant Student". 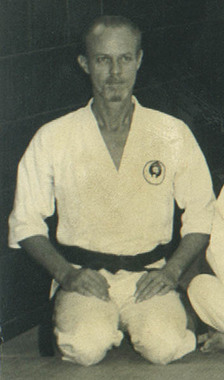 Born of a Filipino-Japanese ancestry, Watanabe Ira Sensei, developed interest in the practice of oriental arts at an early age, His Father, Watanabe Gerry Sensei and Uncle, Watanabe Met Sensei, both legends in the field of the early days of karate in the Philippines, were his main influence in the practice of karate. Watanabe Ira Sensei received instructions and learned karate in the Philippines and Taiwan and is furthering his knowledge in Japan.